After Matthew Vaughn’s X-Men: First Class (2011) rejuvenated the series original director Bryan Singer returns with the daunting task of uniting two timelines and two casts in the ambitious X-Men: Days of Future Past (2014). With both new and old characters to introduce and re-introduce, as well as the tricky mechanism of time-travel, there was tremendous potential for it to go horribly wrong. Which makes it all the more impressive that Singer gets it mostly right. Taking inspiration from Chris Claremont and John Byrne’s beloved comic book storyline of the same name, Days of Future Past begins with a chilling battle in a dystopian future between powerful mutant-hunting robots – known as Sentinels – and a motley cadre of mutant survivors. In order to avoid extinction, Kitty Pryde (Ellen Page) uses her powers to send Wolverine’s consciousness back into his younger body in 1973 (both versions played once again by the ageless Hugh Jackman) to alter past events and change the course of history. To do so, Logan must enlist the aid of both a younger Charles Xavier (James McAvoy) and Erik Lensher aka Magneto (Michael Fassbender), whose friendship is on the rocks. The opening minutes are heavy on exposition, but once Logan wakes up to the lava lamps and waterbeds of the 70’s Days of Future Past is near perfectly-paced, and the absorbing narrative has a great sense of urgency when in the past timeline. Sadly that urgency isn’t shared in the future, and in that regard there is a certain amount of movie-logic that is hard to accept. It’s revealed at one point that Logan’s consciousness has been in the past for 2 days, yet in the future the scene cuts to we find Ian McKellen’s Magneto and Stewart’s Xavier in the same positions we left them in, with time differences left unclear. Simon Kinberg’s screenplay also does a fantastic job of weaving in and building on themes established in the very first X-Men and X-Men: First Class with a deft touch. Indeed, viewers with long memories will remember that one of the very first sequences in the franchise’s flagship film sees Stewart’s Xavier rooting around in Magneto’s head for ‘hope’, and that comes full circle here in a superbly acted scene between McAvoy and Stewart, the only meeting between past and future versions of characters. That’s not to mention the matters of self-acceptance and prejudice, both inherent in earlier entries in the series, effectively cropping up here once more. Most impressively, while there is still a satisfying amount of action, the emphasis is always on its characters, and the organic manner in which the story unfolds mean that action sequences are not missed even in long stretches of character interaction. It helps that every single piece of action is in service to the narrative. The future is packed with a slew of mutants both new and familiar, but almost all get ample opportunity to show off their skill-set with Blink (Fan Bingbing) and Shawn Ashmore’s Iceman standing out from the pack. However, Omar Sy’s Bishop is notably underused (and severely depowered from the comics), as is Halle Berry’s Storm. The most memorable action set-piece though transpires in the past, with Evan Peters’ Quicksilver staging an elaborate breakout at the Pentagon. It’s enormously fun to watch, and gives the film a welcome injection of pace in more ways than one. The only minus is that there isn’t more of him, with the lack of a proper explanation for his hasty exit (other than the unsaid snag that his presence would solve a lot of problems very quickly) proving mildly frustrating. All eyes will now be on Aaron Taylor-Johnson’s portrayal of the character in next year’s Avengers: Age of Ultron, and the bar has been set high here. At the core of Days of Future Past is a quartet of very strong performances from McAvoy, Fassbender, Jackman and Jennifer Lawrence’s Mystique, here given a more significant role in what is the best use of the character to date. All do a fantastic job of portraying not only their characters’ complexity, but also the history they all share even though much of it has taken place off-screen or in decade-old movies. When Logan first meets a dejected young Xavier, for instance, you feel his disappointment. When Fassbender’s Magneto talks of lost mutant brothers, you buy into his anger. The performances help fill in some of that narrative tissue, and will be especially rewarding for franchise newcomers. Speaking of franchise newcomers, Peter Dinklage is predictably brilliant as Sentinel-creator Bolivar Trask, utilising his screen time to the fullest. 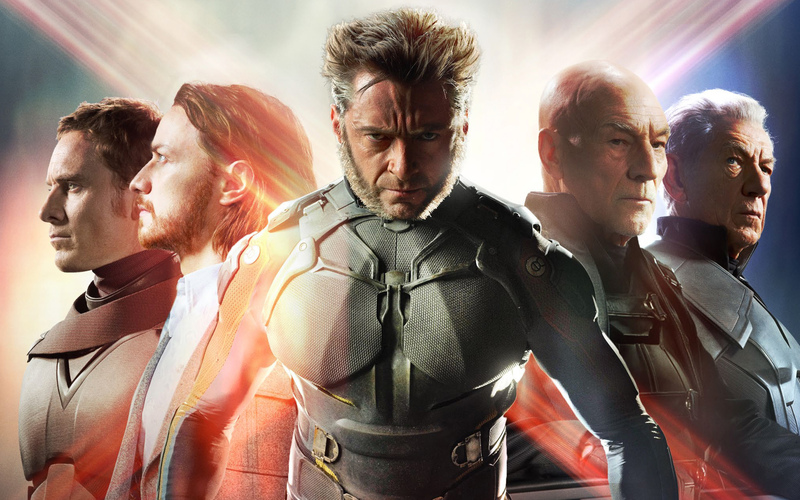 Striking in its ambition, assured in its execution, and compelling throughout, X-Men: Days of Future Past is comfortably one of the best blockbusters of the year so far and arguably the best instalment of the franchise to date. “We need you to hope again”, muses Stewart’s Xavier, and with the film effectively functioning as a system reset and freeing up story avenues that were previously closed, there is much to be hopeful for. This entry was posted on May 14, 2014 by Amonymous. It was filed under Film Reviews and was tagged with Bryan Singer, Ellen Page, Evan Peters, Fan BingBing, Halle Berry, Hugh Jackman, Ian McKellen, James McAvoy, Jennifer Lawrence, John Ottman, Michael Fassbender, Omar Sy, Patrick Stewart, Peter Dinklage, Sentinel, Shawn Ashmore, Simon Kinberg, X-Men, X-Men: Days of Future Past. Great review, man! Oh, I’m so excited for this one! Thanks buddy. 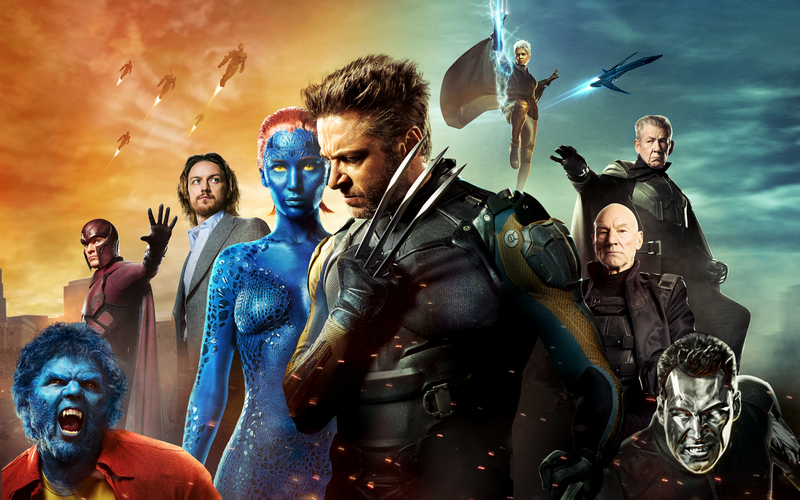 Cap 2 is still the best superhero film of 2014, but X-Men: DOFP is the best of the franchise so far. It was really good and I think it’s my favorite of the year so far. Want to watch again already.